I bought the WE R Sports Incline & Decline Weight Bench around 4 months ago in preparation for starting the Body Beast weight training system. Since then I’ve been putting the bench through its paces. This is my review of how it has performed. This weight bench is the ultimate in all round free weight and bench workouts. This bench offers high quality steel and paintwork and has rubber feet to keep the metal frame from damaging flooring and to keep the bench in place. 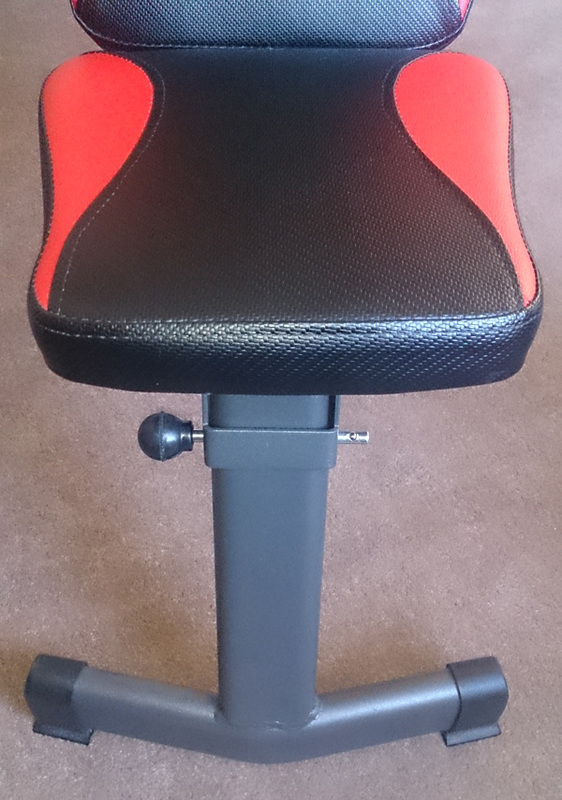 Easy adjustment of back rest and seat. Adopt to most squat racks, cages and Smith Machines. This bench is made to take as much as you can give it and is the ultimate bench for a complete workout! 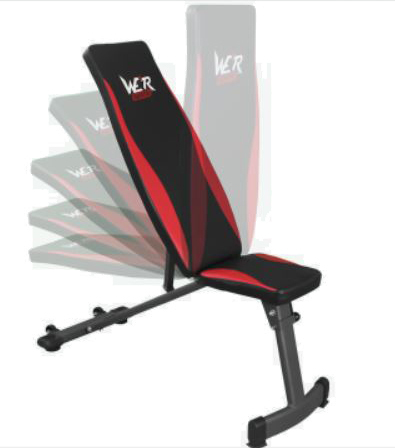 The We R Sports Bench is unmatched in its class and will give you solid and intense workouts for many years to come! Now that’s all pretty impressive stuff and these were some of the reasons that I purchased it. However, the main reason for me diving in and making the purchase was that I found a monster deal on ebay. I think it was around £35. The RRP was £39.99, so either way it is a very low priced bench. Can it stand up to its promises? The bench comes in kit form, as they all do. The first thing that hit me was that looking down inside all the bits of metal, the tubular cross sections are quite large. Also, the thickness of the metal looks not too bad either. This has the promise to be a solid piece of kit. The instructions are easy to follow and assembly took around an hour. I’ve read some reviews that say the bench is a bit rickety and there is movement in the frame. I didn’t experience this, but I made sure that I tightened everything up to a high torque. If you buy this bench (or any bench for that matter) make sure you do the same! Looking at the finished product, this is not a heavyweight, heavy duty gym rat weight bench. If you are a powerlifter or regional class body builder, this is not for you. However, if you’re lifting 100kg or less on a bench press or using dumbbells then this bench could be for you. Don’t get me wrong, this bench is solid. It’s lightweight, but it has the strength to perform. It looks good too. I wasn’t sure about the red flashes on the leatherette in the photo, before I bought it, but once it’s built and in the flesh it looks great. And this bench does come with a few important features, in the form of its incline, flat and decline adjustability, as well as the fact that it will fold down flat for easy storage. So if you’re struggling to find time to workout at a commercial gym, but don’t think you have the space for a home gym setup, this bench can really help make the best of the space you have. Combine it with a set of adjustable dumbbells and you’re well on the way to a space saving and damn fine and functional home gym! So, let’s start putting it through its paces. The first thing that struck me about the WE R Sports weight training bench is the padding. It’s pretty good. The width of the bench is ok as well. At first I thought it was a bit narrow, but once I laid on it I realized it has a tapered profile and is wider where it’s needed. At your shoulders it tapers in for a great stretch on a dumbbell or barbell press. I only use dumbbells. Going up to a maximum of 25kg per dumbbell and this bench is more than solid enough to cope with the action that I throw at it. I also do cross bench pullovers, incline push ups and even bent over rows on it, laying face down on it with a slight incline. The stability of this bench is spot on. I’ve put this bench through at least 30 workout sessions so far and it has stood up to everything that I have thrown at it. Make sure you lock the tab into place when you change the angle of the bench back. I tend to just throw it into place, which is fine most of the time, but once it clicked down into place as I was doing an incline press. It meant that the bench back moved about 3mm as it clicked home into the slot, but it made quite a clanking sound and I thought it was going to collapse. Not good. But my own fault. And it’s only happened the once. Also, the lynchpin that allows the front legs to fold down can sometimes be a bit of a fiddle to get in when you’re erecting the bench, but it’s no big deal. An advantage for me, as I’m just using dumbbells, is that this bench doesn’t have a built in barbell stand. I’m not hampered by the twin upright bars when I’m doing flys or pullovers. Also, it makes the bench far more compact for storage. However, if you want to be pushing a barbell then this bench is probably not for you, unless you buy separate squat stands. All things considered, this is a great bench for a beginner or intermediate weights athlete. The manufacturer’s blurb suggests that the bench can be used in a squat rack or Smith machine, but if I was pushing big numbers in a squat rack, like I used to do back in the 1990s, I would not be using a home-use bench. I cannot fault this bench for home use. It has been a solid performer for me during my Body Beast sessions. I am sure it will withstand everything that I throw at it for a couple of years to come, at least. Another great feature is that it has wheels so you can position and move it around a lot easier. The wheels aren’t touching the ground when the bench is in use, just when you lift it to move. Also, it has large plastic inserts in the feet that make it very friendly to carpets. 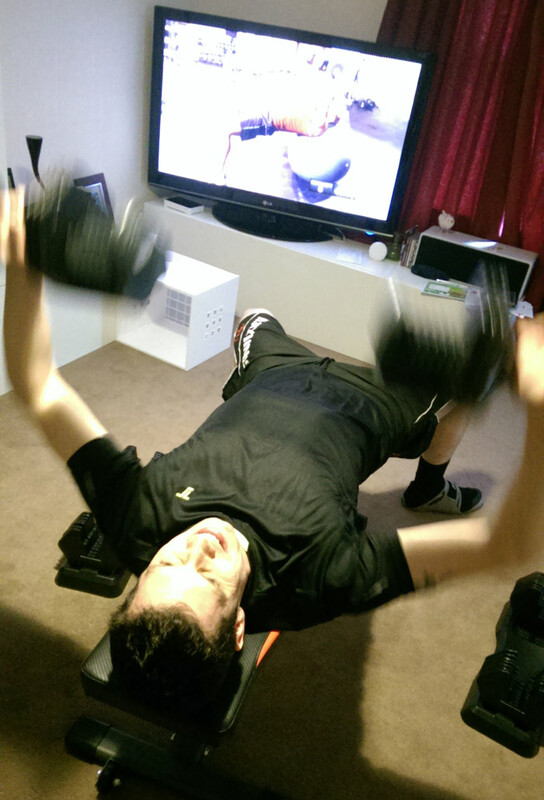 If you’re in the market for a decent home gym bench then you can do a lot worse than this. I would definitely recommend this WE R Sports bench for its combination of quality, robustness and price. Hi. Nice review.. one question though, what’s the max weight this bench can hold? (User weight + DB/BB Weight). Hey Damos, thanks buddy. I think I’ve seen somewhere that it can handle 120kg, but I’ve had it at more than that and it feels solid. The most total weight I’ve had on it is around 160kg and it wasn’t going anywhere. 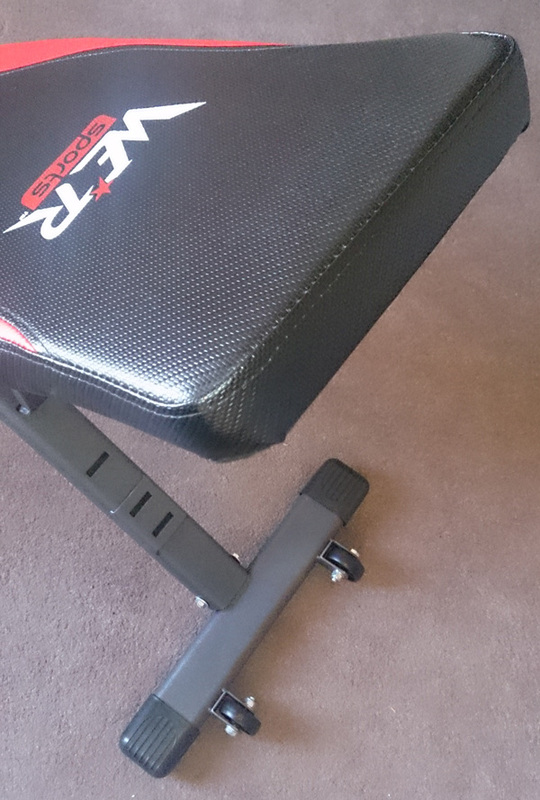 This is an excellent weights bench, very sturdy and easy to use. Excellent value for money. I would recommend it.